Our skin feels practically invincible in our twenties, but as the decade turns signs of aging start popping out of nowhere. Traces of faint lines creep in, our lips and cheeks are slightly less full than they were before, a little bit of laxity is settling in, and tiny sunspots are starting to make an unwelcome appearance. Though skincare ought to be a priority throughout our life, these little signs of aging skin in our 30s give us even more reason to get serious about an anti-aging skincare regimen. To help you navigate the process, we asked several experts to weigh in. Heed their advice! We touched on some of the common skincare changes you experience in your 30s, but let’s dive into the topic a little more. You’re more likely to experience dark spots on your cheeks and temples of your face, spider veins, and duller skin as a result of a 30% drop in cell turnover. Also, and this is a big one, collagen and elastin become weaker due to the slow turnover and sun damage. “As we age, the number and the activity of collagen-producing skin cells (fibroblasts) decrease. The collagen matrix that provides skin firmness and structure starts to break down,” says Dr. Kan Cao, a scientist and professor of cell biology and molecular genetics at the University of Maryland. She says that collagen production diminishes starting at age 25 at a rate of 1.5% per year. By the time we reach 40, production has slowed down by 10 to 20%. As a result, skin becomes dehydrated, thinner, and fine lines, wrinkles and deep furrows start to appear. As you can probably gather, the whole aging process really starts to expedite as we venture deeper into our 30s. Fortunately, we can slow this process down by protecting our skin, nourishing our bodies from the inside out, and getting serious about an anti-aging skincare regimen. “You need to make sure you’re on the correct target treatment products for either sun spots, fine lines, wrinkles, or another skin sensitivity. By having the correct skincare routine for your skin type you can slow down the process of aging,” says Dr. Jacqueline Schaffer, a medical doctor and skincare specialist. Sleep and Relax More – Dr. Schaffer says, “These key hormones are the human growth hormone, which helps to repair any damage that the skin was exposed to during the day; melatonin, a natural anti-oxidant that protects the skin from free radicals; and cortisol, which decreases when we sleep.” Also, adopt a good stress management routine and your skin will thank you. Look for what you resonate with yoga, tai-chi, meditation, singing, dancing, prayer, exercise, breathing techniques, etc. Enjoy the activity, so it becomes easy for you to stick with it. Adopt a Healthier Diet – According to Dr. Nisha Jackson, a hormone expert and author of Brilliant Burnout, the diet is not only important for our weight and hormone and brain balance but also for protection from aging. A diet high in veggies — about 60% of your diet — with lean proteins, good fats and seeds, will make your skin glow, trim your waistline, and keep your hormones in check. Get Religious About SPF and Sun Care – In terms of external stressors that affect your skin, the sun ranks the highest. It’s imperative to protect yourself from UV rays by wearing sunscreen every single day. This is important even if you’re not spending much time outside and even if it’s winter. Adopt a High-Quality Anti-Aging Skincare Regimen – Along with daily SPF, you’ll also want to adopt the best skincare routine in order to prevent aging skin in 30s. At the base of this routine is a cleanser, toner, and top rated anti-aging cream moisturizer. From there, you can incorporate a retinoid for nighttime use and an antioxidant for daytime use. Here are the top anti-aging products in the market that help you prevent different sings of aging that starts as early as 30s. 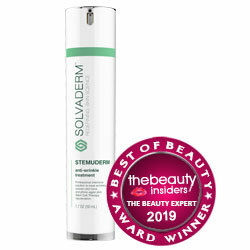 Stemuderm Best Anti-Wrinkle Cream, $79.99. 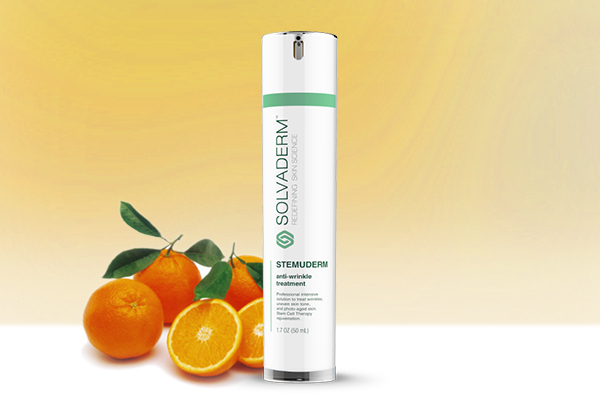 This professional-strength anti-aging moisturizer from Stemuderm (made by the Solvaderm brand) boasts skin-strengthening amino acids and peptides, hyaluronic acid, and a variety of hydrating oils to instantly plump and moisturize skin. It also contains an ingredient called “Dipeptide Diaminobutyroyl Benzylamide Diacetate” which has been nicknamed SYN-AKE after its similarities to snake venom (we promise it’s not poisonous). You can consider this ingredient a topical, milder version of Botox in the sense that it inhibits muscle movements where it’s applied. Repeated facial contractions — which happen most commonly on the forehead, around the mouth, and around the eyes — will eventually cause a wrinkle to form. Stemuderm helps slow that process down with its unique formulation. PCA Skincare Retinol Treatment for Sensitive Skin, $110. Retinol speeds up cell turnover and boosts collagen. PCA Skincare’s formulation is formulated for sensitive skin types and those who are new to retinol. Sunday Riley C.E.O. 15% Vitamin C Brightening Serum, $85. Vitamin C is one of the best antioxidants you can apply, and Sunday Riley’s C.E.O. packs a 15% concentration of one of the most stable forms of Vitamin C (THD). Peter Thomas Roth’s Anti-Aging Cleansing Gel, $38. It contains a mixture of AHA and BHAs to exfoliate and clarify the skin, panthenol to nourish, and citrus extracts to brighten your complexion. By implementing all these good habits now, you can delay the signs of aging in your 30s.